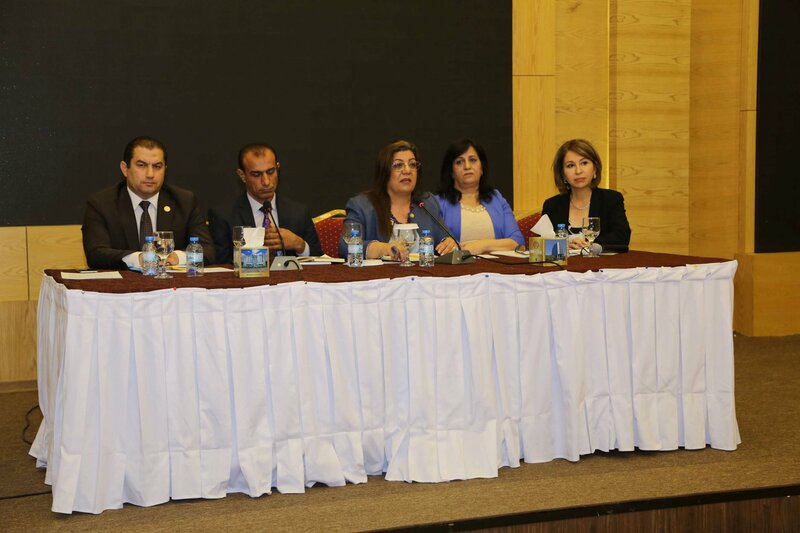 A high-level consultation meeting “Developing of Second National Action Plan for Implementation in Iraq of UNSCR 1325” was held on 9th of October 2018 in Erbil, Iraq organized by the Iraq Cross Sector Task Force 1325. This consultation meeting was supported by Euromed Feminist Initiative with the financial support of the embassy of the Netherlands to Iraq. The meeting had three main objectives, to launch a dialogue and inclusive discussion on improving women’s position in the society through the developing of the 2nd NAP 1325 on UNSCR 1325 in Iraq; to engage diﬀerent sectors of the society and provide space for local partners to give input and share their reflections on the realities women refugees, IDPs and women in the host local communities face every day; to contribute to the promotion and engagement of women in Iraq as major actors for change through 2nd NAP 1325. Euromed Feminist Initiative IFE-EFI has supported the work of the Cross-Sector Task Force since 2012. Furthermore, it supported the CSTF throughout the whole process of development, implementation and reporting of NAP 1325. The meeting brought together local key stakeholders from 5 effected governorates, representatives of gender units in local Councils, active women in the camps and local Communities, women victims of violence, service providers, camps managers, local women´s organisations, follow-up teams in the Ministries and Institutions of the Cross-Sector Task Force 1325 as well as UN agencies and international organisations. Together they identified needs, gaps and priorities as well as suitable measures, actions, policies and budget to efficiently address these gaps. The meeting was opened by H.E. Mr. Kareem Sinjary, Minister of Interior and Chair of Cross Sector Task Force 1325 (CSTF). H.E. 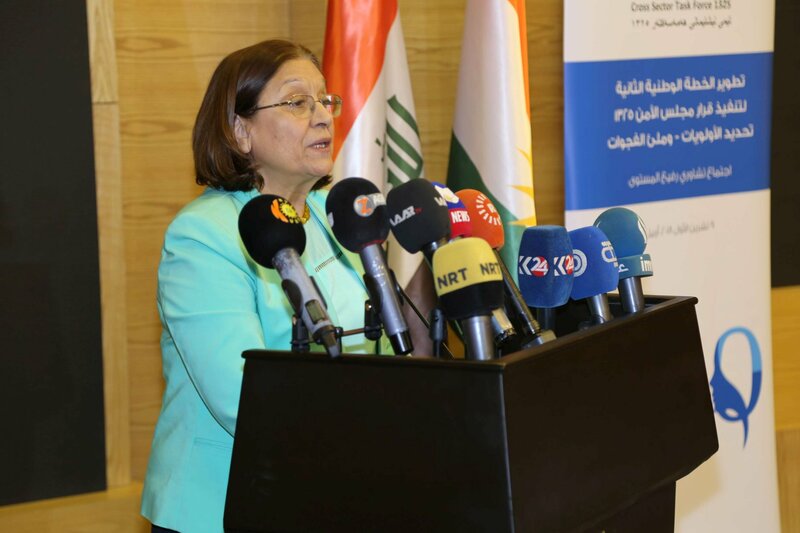 Ms. Pakshan Zangana, High Council of Women in the Kurdistan Region and Co-Chair of CSTF, H.E. Mr. Sinan Jalabi, Minister of Justice, Member of CSTF 1325 and H.E. 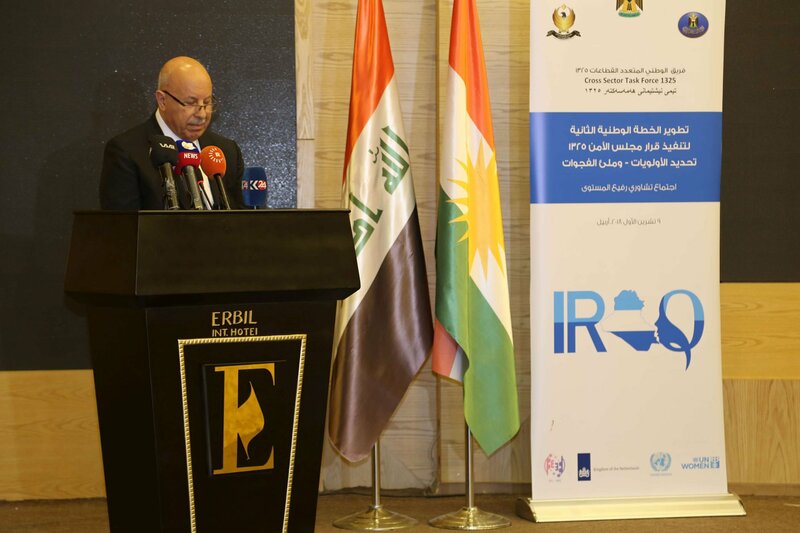 Mr. Willem Cosijn, Consul General, the Kingdom of the Netherlands in Erbil delivered their speeches during the opening session of the high-level meeting. 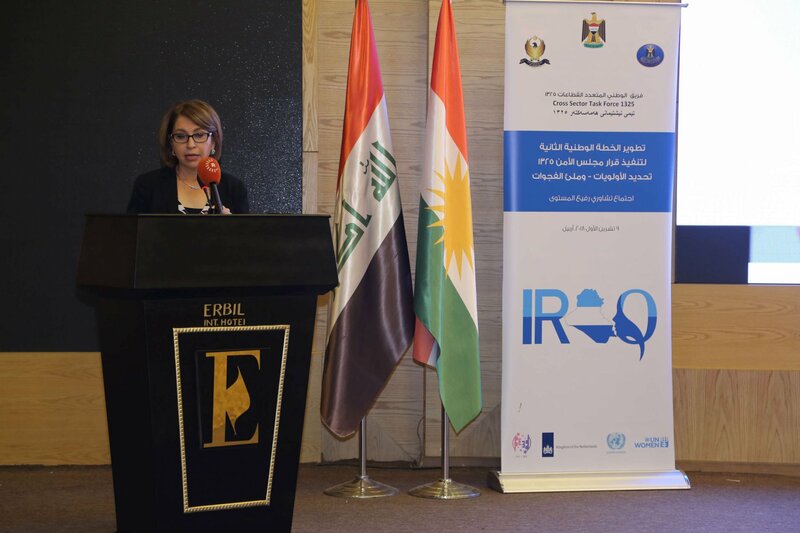 During the meeting, the importance of NAP 1325 as a major tool to improve the conditions of women in Iraq was underlined. In addition, the preliminary findings, lessons learned and recommendations from the National Report on the implementation of the 1st NAP1325 were discussed. Four working groups were formed around the four pillars of NAP1325: Participation, Protection, Prevention and Economic Empowerment. The working groups discussed and proposed mechanisms, measures and actions to improve the situation of Iraqi women on the ground through NAP1325.